Are you very much new to this blogging world? If yes, then you might be looking for a tutorial by which you can setup your WordPress blog perfectly. Right? So as you are expecting from me, I will definitely guide you step by step so that you can complete your task properly. You may know that WordPress is most lovable blogging platform among the bloggers and it powers 22% of the websites in the world. People love to use WordPress because WordPress is so much easy to use and effective. As you are new to this blogging world then firstly you must need to install WordPress on your hosting account. If you have purchased hosting from HostGator then you may know that HostGator offers quick script to install WordPress. If you don’t know then don’t worry I will explain you all the things step by step. If you haven’t purchase hosting account from HostGator then Go ahead and purchase a baby plan for you by using our HostGator Coupon Code. If you have HostGator’s hosting account then you may also have access to your control panel in which you will find an option that is QuickInstall. By using this option, we can easily install WordPress and you will get your WordPress blog ready within 5 minutes. HostGator offers various methods to Install WordPress on their servers like Manual and QuickInstall. 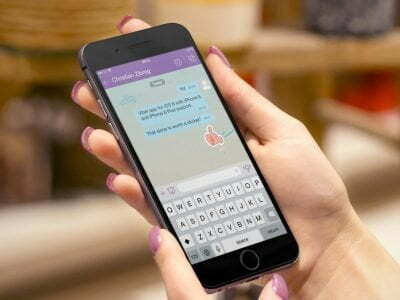 As you are new so we will guide you by using the simplest method so that you can learn something new easily. Kindly follow the steps which I will explain you here. 1. Login to your Cpanel provided by Hostgator. 2. After logged In to Cpanel, You will see an option ” QuickInstall ” under Software/Services section, Click on it. 3. On QuickInstall Page, You need to select ” WordPress ” under Popular Install section and after that, Click on ” Install WordPress ” button as showing in the below image. 4. 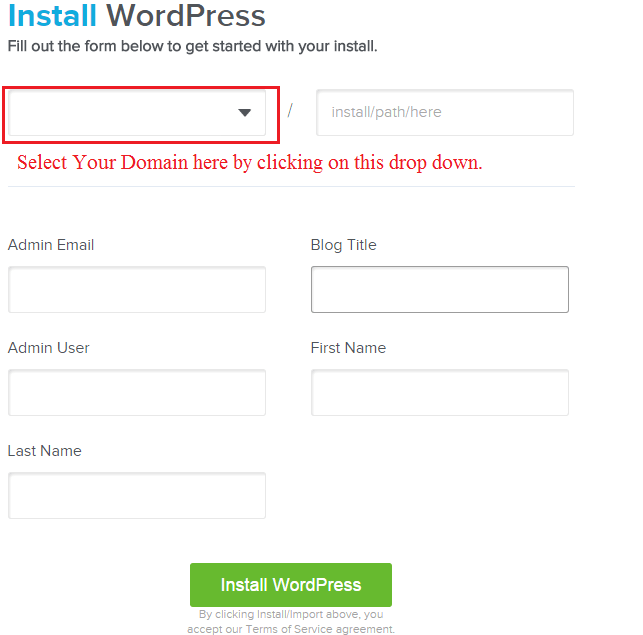 When you will click on Install WordPress then a form will appear as showing in the below image. Simply Fill that form. 5. In this form, you will see a drop down as highlighting in the above image. 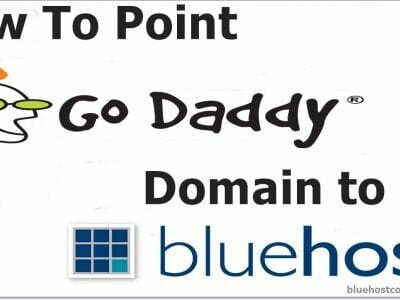 Select your domain name from the drop down. Fill other details like Admin Email, Blog Title, Admin User, First Name, Last name. You can leave the field empty after the drop down. Place your email address in ” Admin Email ” field then Place your blog title, Your username in ” Admin User ” field and then place your First name and then last name. 6. After filling all the above details, Click on green ” Install WordPress ” button as showing in the above image. After installing WordPress, You can login to your WordPress admin panel by going to ” yourdomain.com/wp-admin ” ( must replace yourdomain.com with your actual domain name ). Then you need to place your Username and Password in order to enter in your WordPress admin panel. Make sure you add your email address while Installing WordPress so that you can get information about your WordPress Installation like your Username and Password etc. Windows 10 Password is Incorrect, What Can I Do? next post: How to protect your blog posts from Plagiarism?